Better Call Saul’s viral marketing continues apace, with Giancarlo Esposito’s Gus Fring front and center once more. 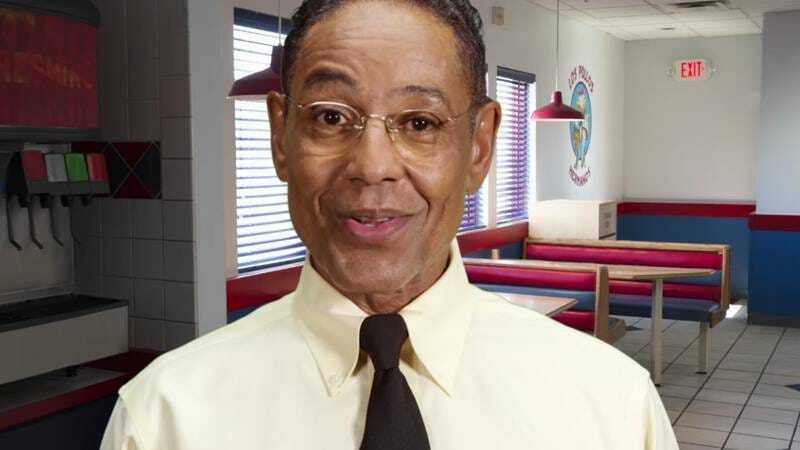 Gus has popped up in teasers and other promos, usually promoting his Los Pollos Hermanos chain, which was one of the fronts for his “side business.” In this latest video, he both cheerfully instructs and subtly threatens new Pollos Hermanos employees. See, standing on your feet and serving customers for hours on end is no reason to slouch in the workplace. Consider how Gus composed himself after that explosive development in season four—he stopped to straighten his damn tie. And if anyone thinks they know better, Gus reminds his new employees he’s the one who watches. Better Call Saul returns April 10 to AMC.